I sold my Pentax *ist DS and a bunch of lenses I don’t use often to a friend who was interested in getting into photography for a cut-rate price. White it’s nice to free up some space and continue moving on to more advanced tools, I see quite a few negatives with only having one camera body. For example, I prefer using prime lenses to zoom ones. When I’m at an event, having one body with prime lens in a small shoulder bag and another body around my neck with a prime or a standard zoom lens allows for a good deal of range and composition options without having to fumble around and switch lenses whenever I need a different tool. I had been to an event where I only took one camera body and three lenses. Due to the nature of the event I was frequently switching lenses, which was something I could have avoided by bringing two bodies and two lenses that had focal lengths far enough apart. Besides those two simple reasons, having the camera as a backup and spreading the use over two bodies has really appealed to me since buying the K-7 when I still owned the *ist DS. If Pentax ever releases a full frame sensor camera I will certainly get one as that would provide even more flexibility to have an APS-C and APS camera (crop factor differences, field of view differences). The positive K10D differences compared to the K-7 will suffice for now. I noticed recently that a local camera store (Camera Craft in Rockford, Illinois) is offering new (old stock) Pentax K10D and K20D cameras. I started talking with the owner and eventually got a pretty decent deal on a new K10D. He had bought a large quantity of both as he explained to me that he was looking for cameras to compete against the Canon XS and Nikon D3000 other stores in the area were selling when his rep. offered up the K10D and K20D to him. Here is a link to the K10D and K20D on his site. 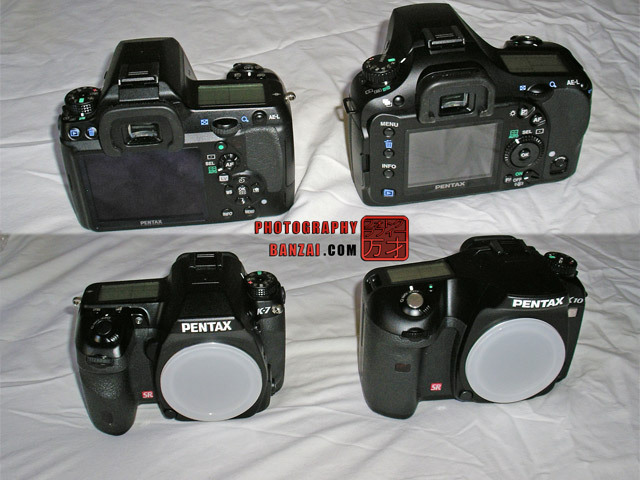 – For whatever reason Pentax has not included PC tethering with their newer cameras after the K20D. However, the K10D and K20D both support tethering. If you don’t know what that feature is, it is basically the ability to connect the camera to your computer and control the camera fully from the PC allowing you to auto-focus and change pretty much every camera setting on the fly. – The K10D has a Sony CCD sensor, more specifically the ICX493AQA. From what I have read it is very good at base ISO and offers a different look than say the K20D which basically has the same Samsung sensor as my K-7. I really liked the rendering of my old *ist DS and the K10D sensor is probably quite similar, which should provide a similar feel to images. 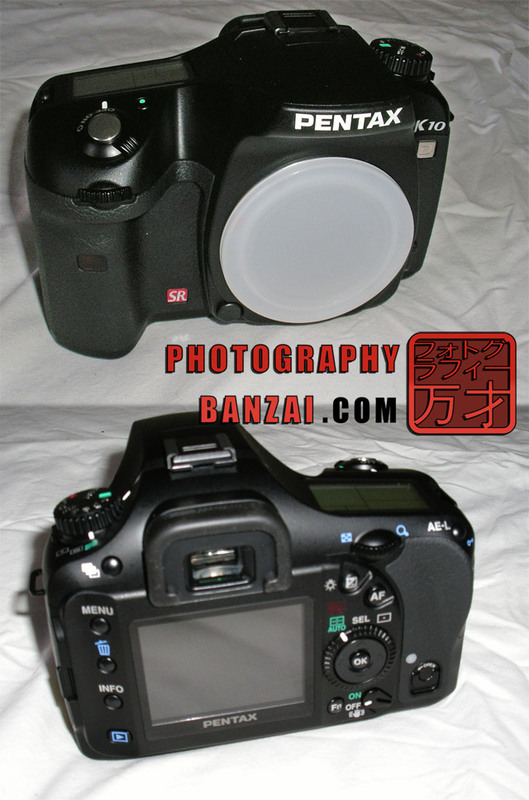 – The K10D’s Sony CCD and related camera setting allow the user to truly turn off dark frame subtraction (DFS). The K20D, K-7, and presumably the K-5 (These are all CMOS sensors) don’t allow the user to turn off this feature if you take an exposure that’s longer than 30 seconds. Out in the field, it’s best to take one single dark frame after you’ve taken all of your photos of the same exposure length for that session to save on time (using your dark frame in post processing). The reason dark frame subtraction is done is to help you remove sensor noise from the resulting long exposure images as the noise will be generally the same if both photos were taken in the same conditions around the same time. Being able to turn this feature off is very useful in Astrophotography and other similar types of photography that require long exposures. – The K10D seemed to me to be a better studio and tripod camera than the K-7. It has a physical button to turn off shake reduction, it has a physical button to select exposure bracketing, and the other buttons are larger and easier to handle when you are doing things slowly where the size of the camera isn’t as much of an issue. – The K10D still has WR (weather resistance) in the form of weather seals as the K-7. While I think the degree of weather resistance isn’t as high as the K-7, I think it is more than sufficient and reason enough to buy the K10D over say a K-x which would have been closest in price range. Having WR is a very important feature to me these days. – The K10D is more of a photographer’s camera due the the level of control it has available to the user. Buying a K-x or even a k-r would have been a compromise on features I was looking to have. – The K10D can shoot images in DNG format which is what I use most of the time. – 10 mega-pixels at APS-C sensor size is respectable. – Batteries and grip are not the same as the K-7. If I had opted for a K-7 or K-5, I could have shared batteries and the add-on grip I have. This came down to price and lack of DFS completely off and tethering features. – The K10D can’t compete with the likes of the K-x, K-5, and K-r in high ISO, but it’s not important enough to me to spend the extra money or not have pro level features. – The K10D isn’t the fastest camera with around 3 FPS nor is the auto focus very fast (although with my limited testing it’s pretty decent). – No live view or video. – My initial impression of the auto white balance isn’t the best, but I shoot DNG raw most of the time making it a non-issue. I’ve been handling the K10D for a day now and like it overall. While it didn’t really interest me back when it was initially available (the K10D and K20D size wise are a bit bulky), I think now it aligns better with my needs camera tool wise considering the cost. If money were not a consideration I might have opted for a K-5 (it was released days ago at $1599 MSRP) and waited out to see if it does or will eventually be able to tether and turn off DFS. Overall, I think the K10D is a good second camera to help me in areas the K-7 is lacking and also help when I need two camera out in the field. 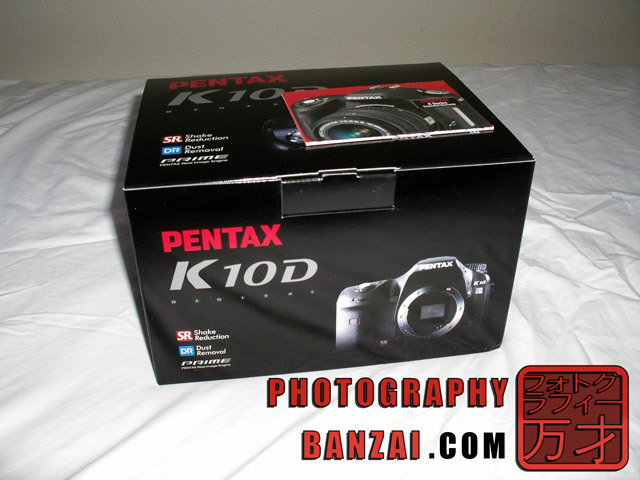 This entry was posted in Article, Opinion and tagged camera body, k10d, new, new old stock, pentax, sale, second body. Bookmark the permalink.